It is Monday, and it is the last day of my 4 day weekend. 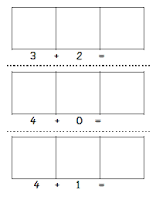 I started planning out next week and came across some addition math mats I had made last year. 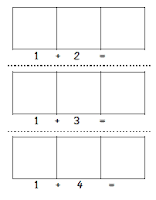 I decided to add to them and place them in one of my math centers next week. They're nothing fancy, but sometimes less is best.. just click one of the mats to download yours. 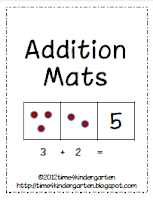 What a simple yet very helpful way to teach addition! Thank you! These are great to build connections to making with objects to reading equations - a skill that takes some a lot of time to develop! Thanks!